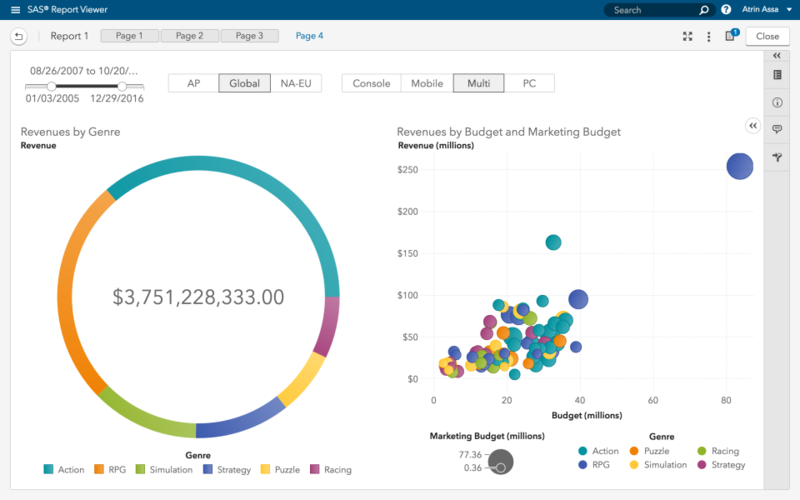 SAS Visual Analytics pricing is based on total number of processor cores. Get the right insights to anyone who needs it. 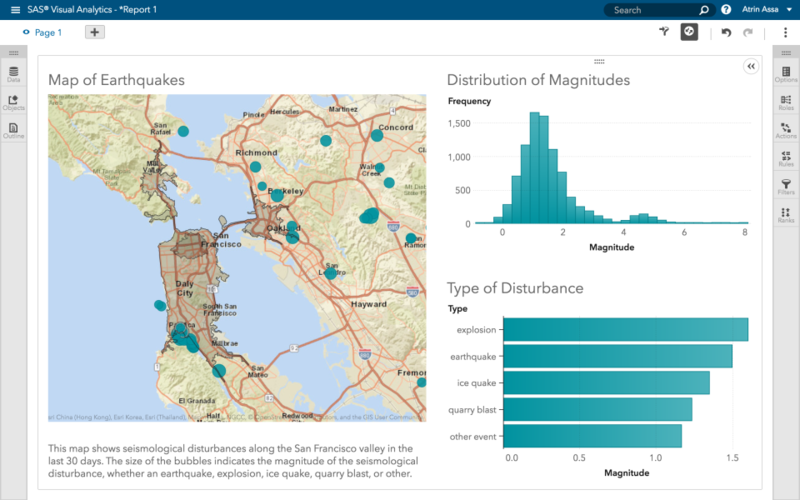 Integrate and discover data on your own. Create and share interactive reports. Spark your curiosity with easy-to-use analytics. And monitor key metrics so when something goes awry, you'll know why and what to do about it. SAS Business Intelligence Reviews Recently Reviewed! Pros: It's Visual Data Exploration capabilities to visualize the data and find patterns quickly is amazing. The features such as heat maps helps us understand where most of the traffic for an advertiser is coming from and helps the advertiser to target the customers more effectively. Creating Dashboards doesn't require a lot of technical know how and anyone can start making dashboards. Also, these dashboards and reports simplifies collaboration as different people are able to share their comments by directly commenting on the visuals or charts. Another feature which interests me is that it allows to integrate with other open source platforms like R.
Cons: Such a comprehensive set of features with a brand like SAS obviously comes with a price but I find the price to be over the top for the small and medium organizations. Only a few open source platforms are supported and lot of common ones used by a lot of smaller organizations have been left out. Further, user interface looks dated and needs a facelift to match other players like Tableau. Very powerful, flexible, and works with all third parties we need. 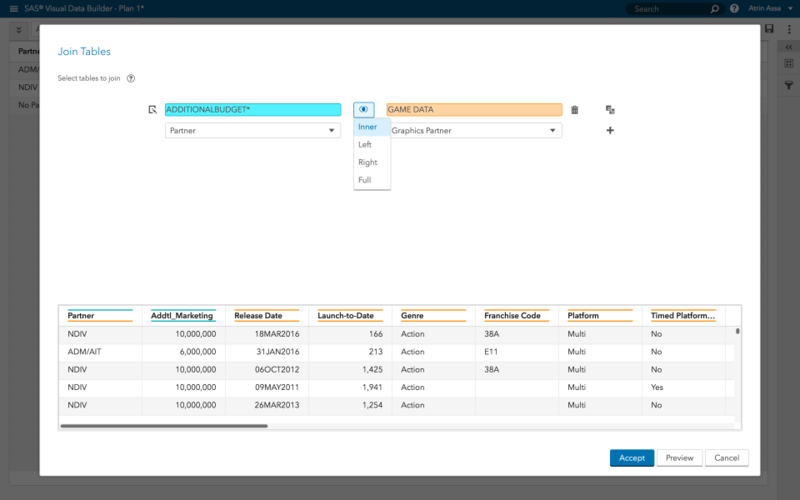 Pros: The ability to connect with all third parties (that we use) and merge their data together in one system then analyze the structured information in a consistent and reliable way makes SAS Business Intelligence a very powerful system. The ability to run code that we made 10 years ago is also very nice. Cons: The complexity and inconstancy of the product is not always the most desirable. Often times doing similar things requires very different approaches. SAS Business Intelligence has been around for such a long time that different "procs", as they are called in their system, often have extreme variance in syntax. 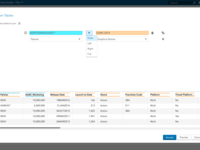 Overall: The ability to connect with all third parties (that we use) and merge their data together in one system then analyze the structured information in a consistent and reliable way makes SAS Business Intelligence a very powerful system. The ability to run code that we made 10 years ago is also very nice. Pros: Coding is pretty much easy and visualization is best. Also, customer support is high and It can fetch billions of records for processing and processing speed is very high. Cons: Only one factor which makes negative about this product is the price, which is really very high. 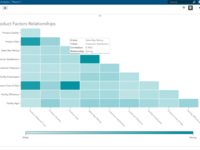 For which Tableau and R can work together for giving the same results. Pros: SAS is what started the party. It's so much faster than the legacy of Cobol and mainframe based packages. Love the advanced features and the power. If you are using SQL you miss Moss of the raw power. SAS procs arenot the most I tuitive. And most importantly, newer packages re after 10x or more quicker. Overall: Good stuff. Dated but works. Pros: I am using this since last 8 years and you can do everything with data using SAS BI. I have used it for ETL, reports and for modelling but we can created dashboards and so many other other things. Cons: Biggest disadvantage is cost factor. SAS is quite costly and small organisations cannot really afford it. Now we have freewares in market like python and R replacing SAS. Overall: It is complete BI suite. You can do everything with Data. SAS VA is very easy to use. Drag and drop interface to create charts and tables. Pros: Very easy to use. All necessary charts are there, and more. It is very simple to add data and then to add more calculated fields. Since data is in memory, everything is fast. You make a change to a filter and your new chart is there. You can start with the Visual Analytics module, and grow from there. Cons: The security features, which seems more than adequate, are sometimes harder to use. It is not easy to see what amount of storage your are currently using with all the stocked data. Overall: Better decision making. Getting more from our data. Do not need to think about all the possibilities before publishing charts and tables: let the user decide. Pros: Easy to use, more features and auxiliary components than you could ever wish for, great customer service and technical support. Cons: I cannot think of many cons for this product. The only thing that might be considered a con is the server architecture required. Comments: A better deal in comparison to MS Excel. 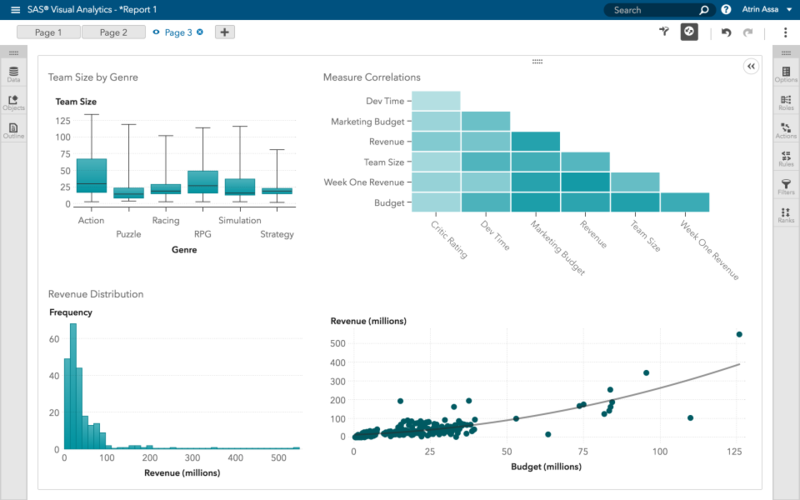 Also better than Tableau reader but somewhat lesser than Tableau full package. Cons: Support is not up to the mark. Installation is messy but that is only for single time. Interface doesn't look that good. Cons: Nothing yet, but I will certainly be vocal, if I have a bad experience. Overall: This product is the best there is. very user friendly. and very efficient. The ui is so easy to use. Love this product. Pros: Great for building process flows. Easy to use for people with no programming background. Cons: For as nice as it is for people without a programming background, it can also be a hindrance for those of us who do. Sometimes the flexibility to do things is not there. Overall: Great for building process flows for projects and managing data. I used this platform for some years in my previous work experience as administrator/developer user. Cons: - Considering the costs, maybe not so accessible (quite high license price) compared to other statistical software but anyway the quality of the tools is really high. Comments: SAS visual analytics is a great tool. 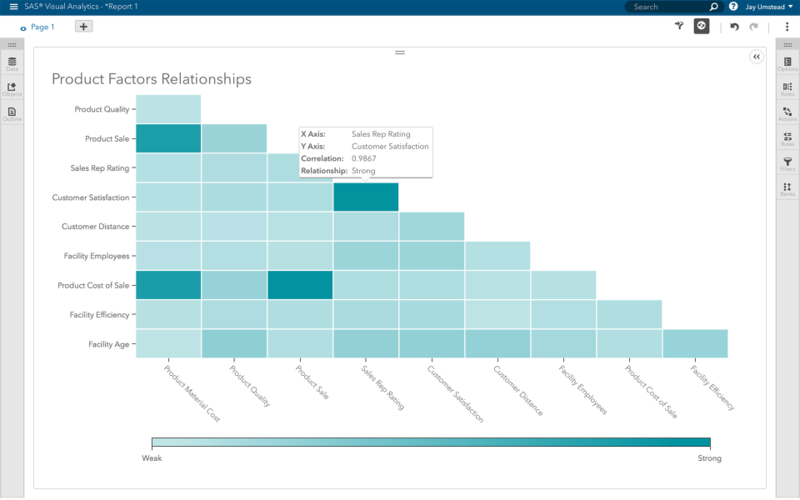 The quality of analytics is way better than the competitors like power bi, qlikview and others, along with decent visualizations. Cons: Can have better visualizations. Pros: It has lots of out-of-box packages. Before open-source era it was some kind of industry standart. It plays well with big data. Cons: Open source platforms are becoming popular. It's still too expensive. Post-sales support is not good. Comments: It's really been awesome. As I can remember, I told a colleague sometime back, before I got into SAS that, his problem would have been better solved if i had a package with programming abilities, as he wanted me to do some analysis for him. I found out later when I got into SAS that, it was exactly the package I was talking about. I haven't regretted at all using SAS. Comments: SAS has a wide range of products, making it kind of complex, but at the same time powerful and adaptive. now they're moving to the cloud, and that it's going to make things faster,and lighter. I 've worked with them for many years, and I wouldn't change. Also service support is more than great here in Spain. Pros: The Best thing about this tool is you can almost all sort of analysis even if you don`t have an IT background. Powerful in visualization. Easy to use. Great customer support team. Cons: As compared to R and python its use is limited. I can do much more accurate analysis with R. Also there is cost factor too. Its price is very high. Overall: Good tool and should be used. Cons: It is expensive and the product itself is far from the top ones on its category. the graphics look like created in excel and the interface is not the most user friendly. 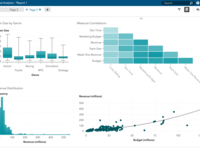 Recommendations to other buyers: Think about the gains of using low quality graphs while connecting it to the analytical power tools offered by SAS. Comments: SAS is a great statistical software tool, but really lacks compared to other software out there. I find R and Python to be just as easy to use and are available for free. Looking at cost, R is superior to SAS. Comments: This software is excellent in relation to every segment of business intelligence. It covers every aspect of our business and provides the opportunity synergize. Comments: I use SAS visual analytics tool and it is really handy. It offers a lot of functionalities like analytics which is limited in other BI Tools. Cons: There can be improvements on the analytics front. Recommendations to other buyers: See what is it that you want to accomplish by using the visual analytics tool before deciding which one you want to buy. Comments: SAS has the capacity to handle large amounts of data from disparate sources and process that data seamlessly. Data sets of one billion records can be handled routinely by SAS. 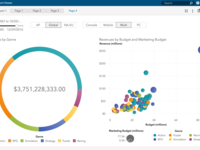 Further, the power of SAS's statistical tools is invaluable for actuaries that require a Business Intelligence tool to go beyond the 'sales by region' data visualization to provide predictive modeling functionality. Pros: The commitment to quality and innovation by the SAS organization that stands behind the product. Recommendations to other buyers: When considering SAS, it will be beneficial to perform a 'test drive' with as large a data set as possible. The goal of the testing should be to not only process the data set but to use the functionality within SAS to visualize the "story" behind the data. Cheers to a great product! Comments: I have not used it, but it's a great product. It will be less development time for organizations, and benefit to all users. Comments: SAS has many software tools for many different purposes.With so many products available beyond base SAS, the match between their product line experience is great. Pros: Ease of learning. Provides easy learning mechanisms for people with knowledge of SQL. Cons: SAS has decent functional graphical capabilities. However, it is just functional. Any customization on plots are difficult and requires you to understand intricacies of SAS Graph package. Comments: There are many visualization tools in the market far better than this product. they should make it more user-friendly. 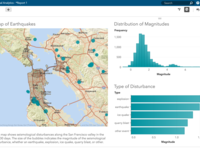 For instance, Tableau works best for visualization with easy drag and drop solutions. Comments: It's must learn software for management, and supply chain students. Pros: This software is widely used in the industry. It has numerous sets of analytic tools which are used to accomplish various goals in IT industry. Cons: The most important drawback is, this software is not free. It's very renowned tool but its certifications are really expensive.